Item # 318123 Stash Points: 5,495 (?) This is the number of points you get in The Zumiez Stash for purchasing this item. Stash points are redeemable for exclusive rewards only available to Zumiez Stash members. To redeem your points check out the rewards catalog on thestash.zumiez.com. 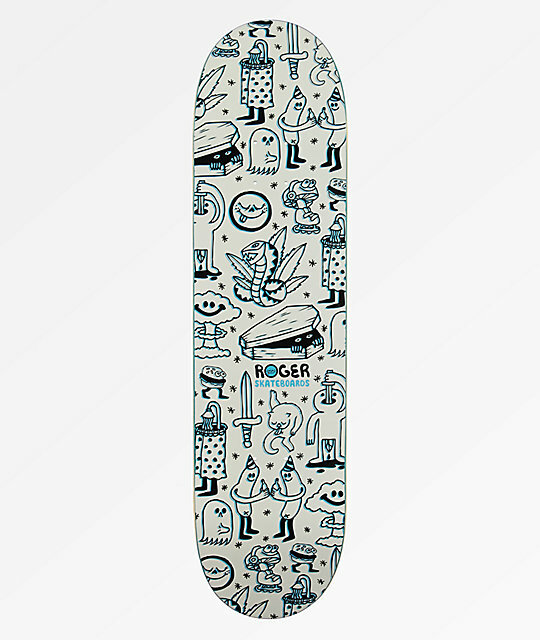 Shred your local park or hit the streets with the Doodle 8.0" Skateboard Deck from Roger Skateboards. This deck features graphics of various illustrations, including a cat licking his behind, a cobra with weed leaves and Roger's famous Sword Swallower graphics throughout. With steeper kick tails and moderate concave, this deck offers solid performance for any feature you throw its way. 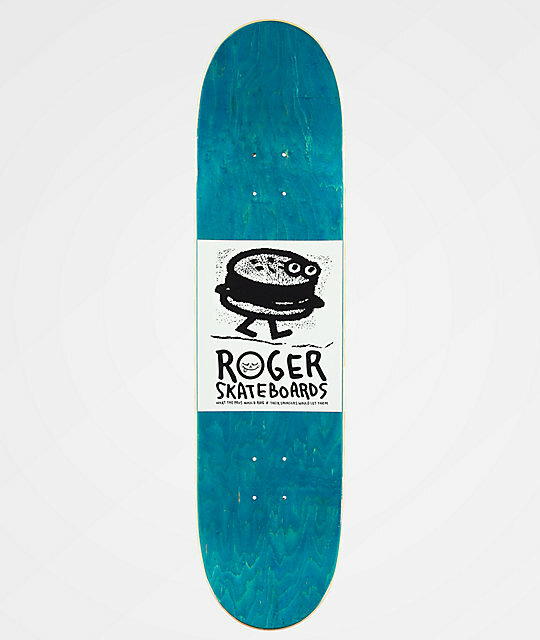 Doodle 8.0" Skateboard Deck from Roger Skateboards.